As parents, it might still feel like the winter holidays just passed last week, but the true fact is that Spring Break is right upon us! If you have plans with the family this year, we hope you the best. 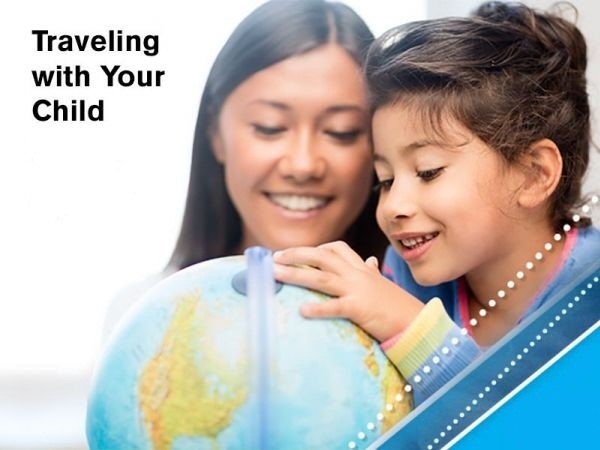 Here are a few last minute things to keep in mind when you’re traveling with little ones before you take off. Make lists of everything each member of the family will need. Include exact numbers of each article and possible plan certain outfits for each day. This will really help with saving time while on vacation. If you want, go to Kohl’s and find some affordable travel outfits specifically for vacation. This way you know you have everything. Once you think you have everything needed, lay it all out on the ground and double check it, then check it again as you pack it into the suitcase. If you’re going to be gone for a long time, only take what you need and do laundry somewhere along the way. If there is one thing we all know about kids is that they lose things rather easily. Don’t let them take anything with monetary or sentimental value. It’s almost inevitable that something gets lost throughout the journey, you don’t want it to ruin the rest of your travels. If you are going abroad, take copies of everybody travel documents and keep them somewhere safe and away from the originals. This way if anything unfortunate happened to the originals you have AT LEAST some copies. Also, take extra medications if necessary and articles like contacts or eye glasses. Having extras is always better than not having it at the time of need! Traveling as a family is really fun. I personally remember my first trip as a little kid to the Gulf Coast of Mexico. We lost a pair of glasses but my dad had an extra so all was well in the end! !